NORRISTOWN, Pa. — Prosecutors on Monday asked a judge to sentence Bill Cosby to five to 10 years in prison for drugging and sexually assaulting a woman, while his lawyer argued that the 81-year-old comedian is too old and frail to serve time behind bars. "What does an 81-year-old man do in prison?" defense attorney Joseph Green asked on Day 1 of the sentencing hearing for the comic, who is legally blind and dependent on others. "How does he fight off the people who are trying to extort him, or walk to the mess hall?" Green suggested that Cosby instead be placed in a detention or rehabilitation facility or be put under something akin to house arrest. Montgomery County District Attorney Kevin Steele said that Cosby, even at his advanced age, is still capable of slipping women drugs and assaulting them. And he said the sentence should send a message to others. "Despite bullying tactics, despite PR teams and other folks trying to change the optics, as one lawyer for the defense put it, the bottom line is that nobody's above the law. Nobody," he said. Judge Steven O'Neill is expected to sentence Cosby on Tuesday. The TV star once known was America's Dad for his starring role in "The Cosby Show" could become the first celebrity of the #MeToo era to be sent to prison. "The jury heard me. Mr. Cosby heard me. Now, all I am asking for, is justice as the court sees fit," said Constand, who submitted a much longer victim-impact statement that wasn't read in court. The charges carry up to 30 years in prison, though state sentencing guidelines call for about one to four years behind bars. 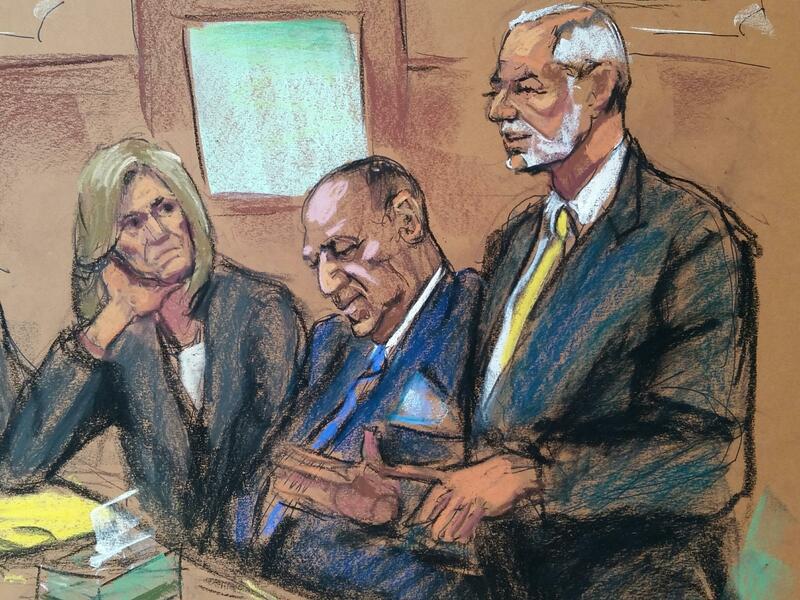 On Monday, Kristen Dudley, a psychologist for the state of Pennsylvania, testified that Cosby has an uncontrollable urge to violate young women and would probably commit another offense if given the chance. Cosby often befriended women, then sedated them with drugs or alcohol and violated them for the "sole purpose of his sexual gratification," Dudley testified. A psychologist for the defense is set to testify Tuesday. Cosby's lawyers argued that the state law on classifying sexual predators is unconstitutional. They contended also that Cosby is unlikely to commit another crime because of his advanced age and health and because there have been no complaints that he molested anyone in the 14 years since his encounter with Constand. Cosby, looking grim, walked into the courthouse in the morning on the arm of his longtime spokesman as protesters shouted at him. In the years since Constand first went to police in 2005, more than 60 women have accused Cosby of sexual misconduct, though none of those claims have led to criminal charges. At least two of those women, Lise-Lotte Lublin and former model Janice Dickinson, were among those in the courtroom Monday. Prosecutors had hoped to have some of the other accusers address the court at sentencing. But the district attorney's office told The Associated Press that that would not happen.